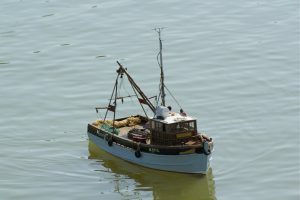 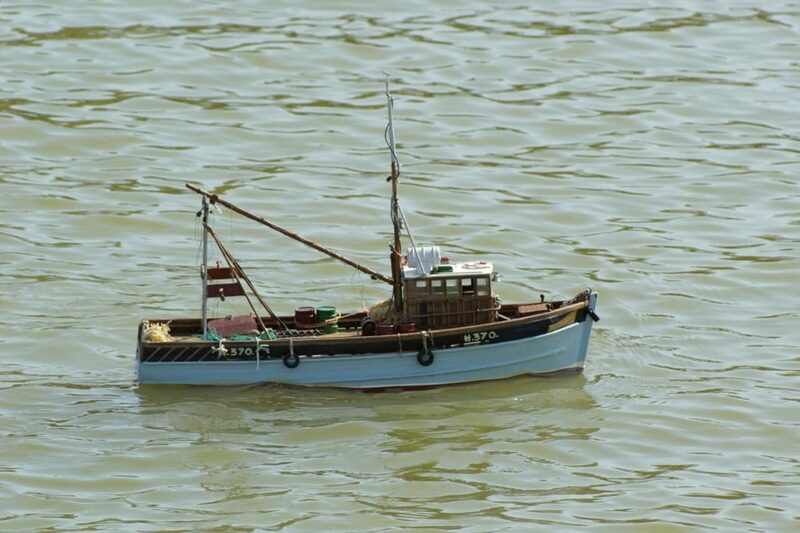 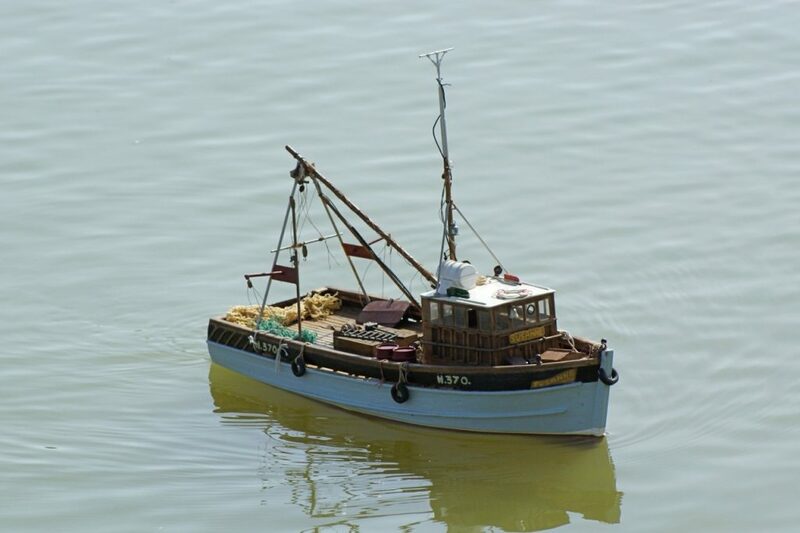 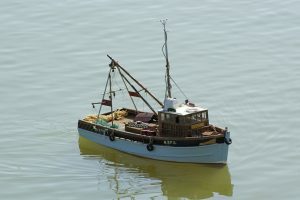 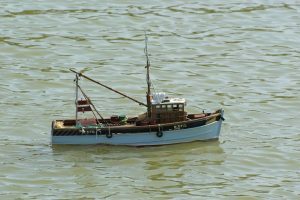 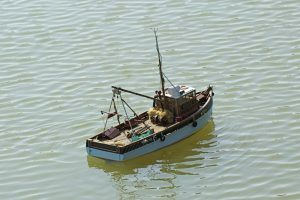 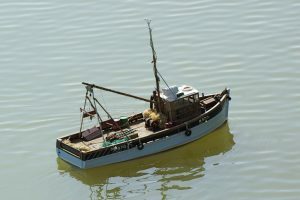 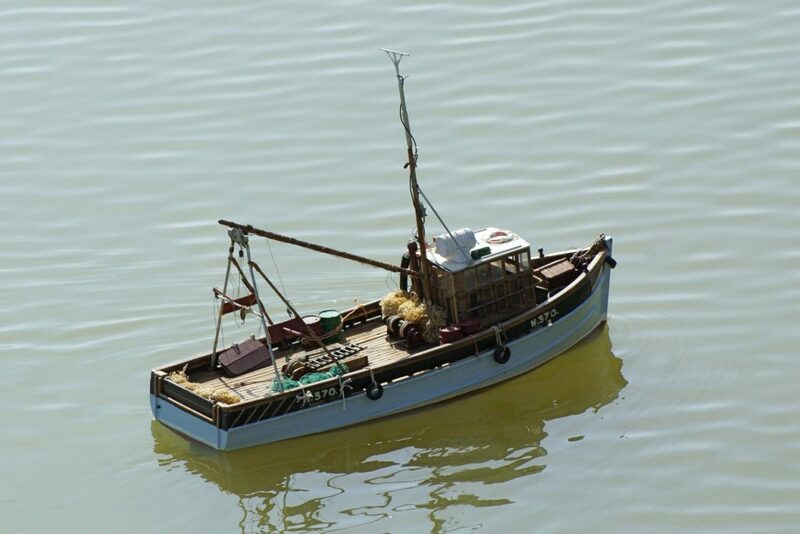 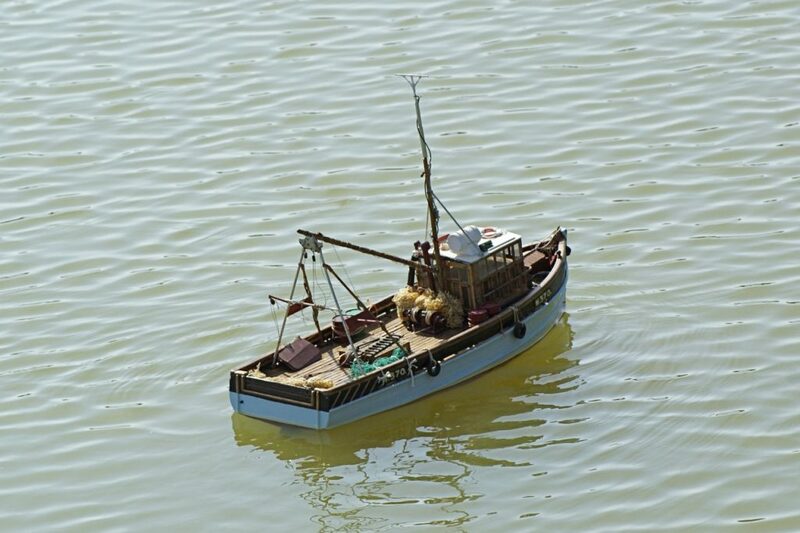 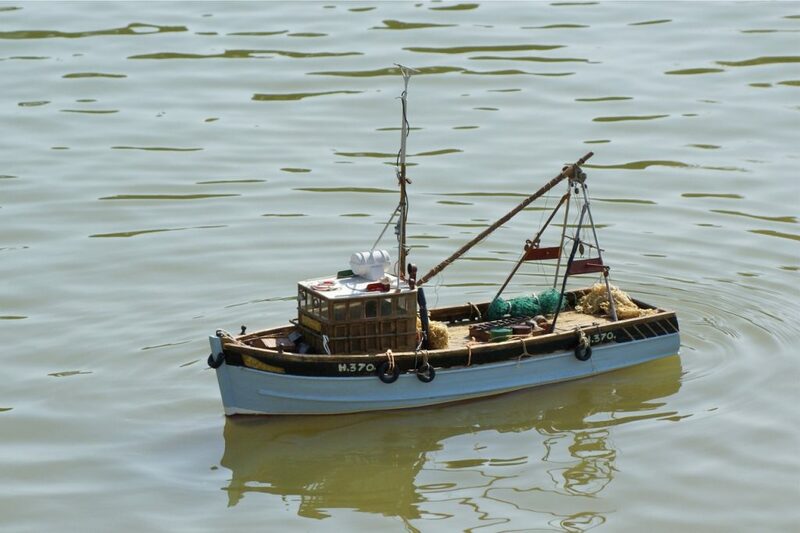 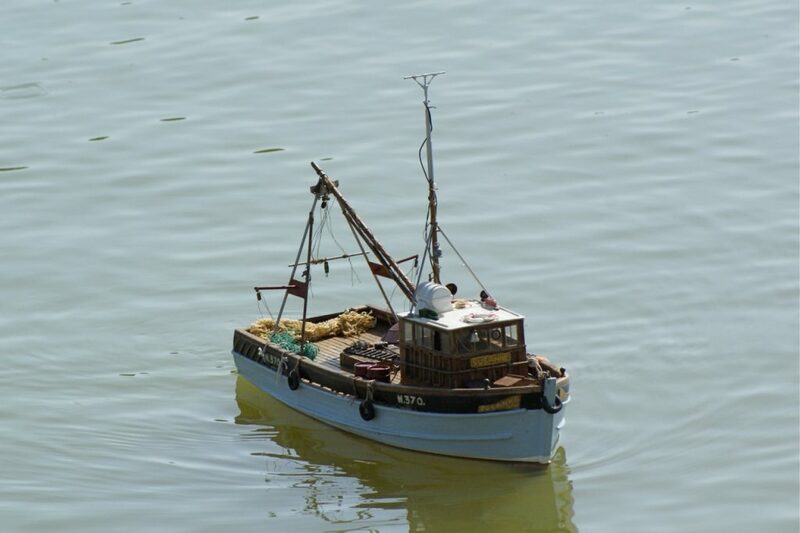 An inshore trawler; model: Terry Spurge…. 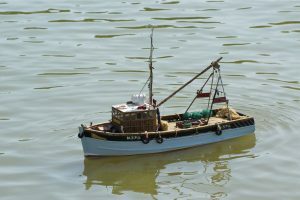 “Susanne was built from plans, with scrap ply and balsa wood, in 1972. 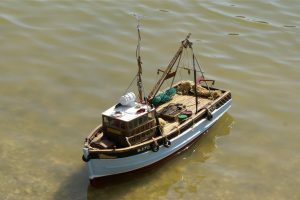 I’d like to build the same boat, but bigger, say 32”.